LED bulbs R7s in different powers and designs. 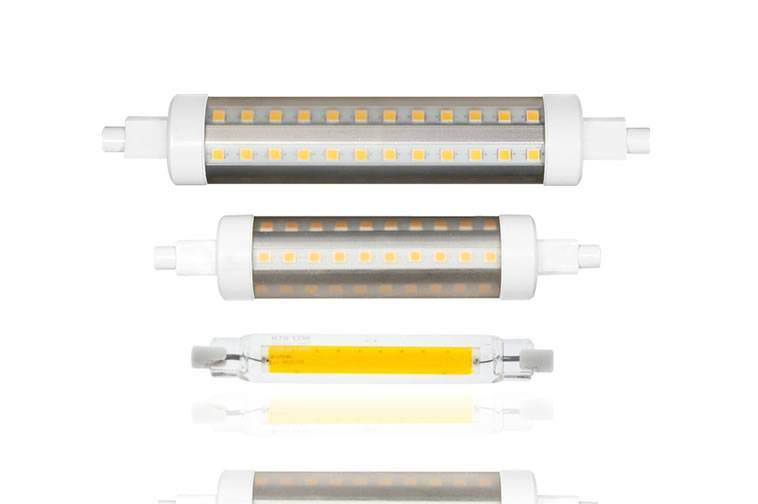 R7s LED bulbs are ideal to replace linear halogen saving up to 80%. 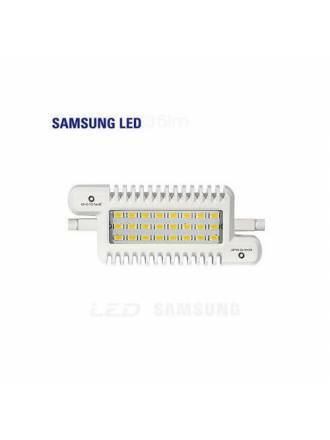 Available in 2 sizes: R7s 78mm LED bulbs and R7s 118mm LED bulbs. 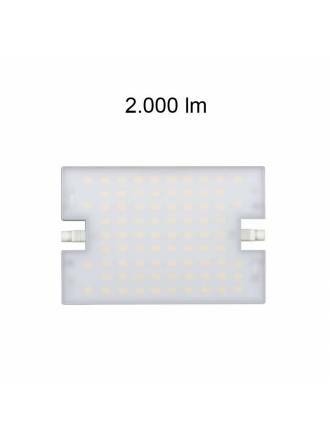 You will also find in our catalog the latest in dimmable LED R7s bulbs. 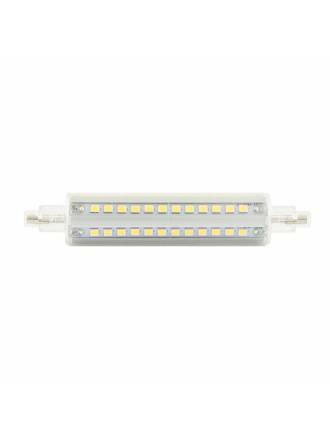 BENEITO FAURE Lineal R7s LED Bulb 20w 118mm 220v. Luminous flux level of 2000 lumens. 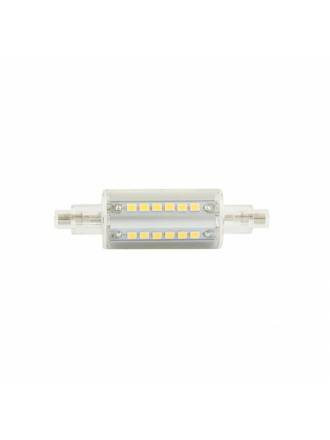 FARO R7s LED bulb 12w 118mm 360. Luminous flux level 1050 lumens. MASLIGHTING EcoLineal R7s LED Bulb 6w 78mm 360º. Luminous flux level of 650 lumens. MASLIGHTING EcoLineal R7s LED Bulb 10w 118mm 360º. Luminous flux level of 1100 lumens. 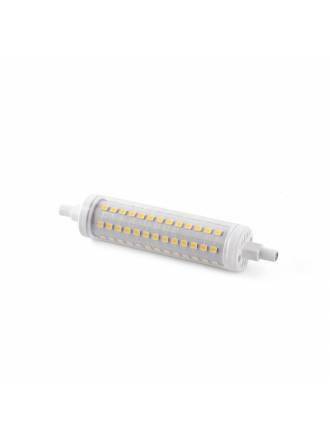 BENEITO FAURE Lineal R7s LED Bulb 9w 78mm 220v 120º with luminous flux level of 880 lumens. 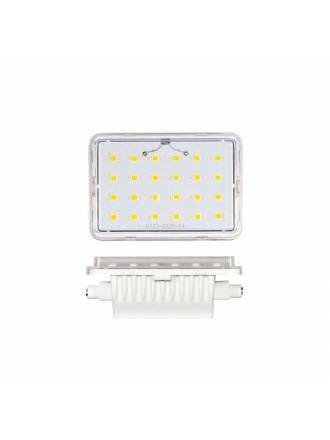 BENEITO FAURE Lineal R7s LED Bulb 9w 118mm 220v 120º with luminous flux level of 936 lumens. MASLIGHTING Lineal R7s LED Bulb 10w 118mm 220v 120º with luminous flux level of 1250 lumens.